BMJ Clinical Director Dr Kieran Walsh speaks with Dr Tom Fletcher (http://www.lstmed.ac.uk/about/people/dr-tom-fletcher) about Ebola infection. Dr Tom Fletcher is a Wellcome Trust/Ministry of Defence Research Training Fellow and an Infectious Diseases Speciality Registrar in Liverpool. He is a physician in the Defence Medical Services and his research is on investigating the pathogenesis of Crimean-Congo Haemorrhagic Fever. He is specifically interested in viral haemorrhagic fevers and, during a recent secondment with the World Health Organisation, was deployed to West Africa to help with the Ebola outbreak. Here are links to studies and guidelines that were referred to. Ebola: Technical guidance documents for medical staff from the World Health Organisation (WHO)- http://www.who.int/csr/disease/ebola/protective-measures-staff/en/. Implementing an Ebola Vaccine Study — Sierra Leone - https://www.cdc.gov/mmwr/volumes/65/su/pdfs/su6503a14.pdf. Phase 1 Trials of rVSV Ebola Vaccine in Africa and Europe - http://www.nejm.org/doi/full/10.1056/NEJMoa1502924. 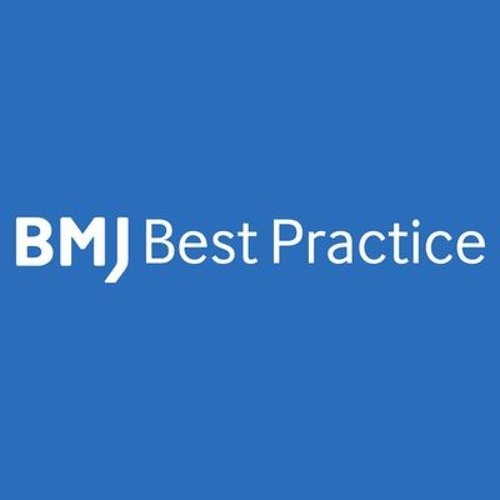 To learn more about Ebola Virus Infection, visit BMJ Best Practice (http://bestpractice.bmj.com/best-practice/monograph/1210.html). _ The purpose of this podcast is to educate and to inform. The content of this podcast does not constitute medical advice and it is not intended to function as a substitute for a healthcare practitioner’s judgement, patient care or treatment. The views expressed by contributors are those of the speakers. BMJ does not endorse any views or recommendations discussed or expressed on this podcast. Listeners should also be aware that professionals in the field may have different opinions. By listening to this podcast, listeners agree not to use its content as the basis for their own medical treatment or for the medical treatment of others.